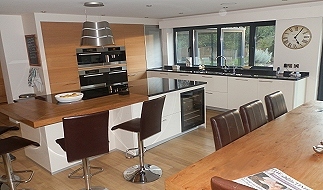 The client wished to extend their property and approached us to produce an innovative and modern solution. 1. 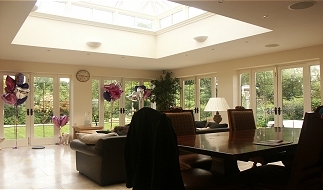 Sunroom and basement gymnasium - Robins Lane. We produced a number of designs looking to transform the bland Victorian gable end in to an new area of light and space, bringing the magnificent garden in to the house. 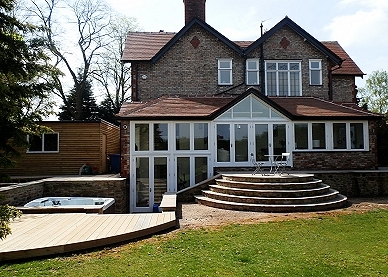 The preferred design featured a unique sun room with patio area and external Jacuzzi accentuating the rear of the property. The sunroom emulates the freshness of sunlight whilst not detracting from the materials of the existing house and provides a living space off the new kitchen area. 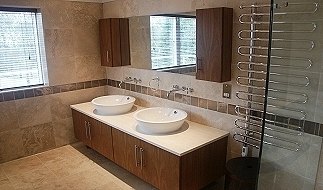 It was integrated in to the house so as to be used on a daily basis, rather than for occasional use. This was achieved at the design phase by considering the natural flow of the occupants through the house as well as considering their different needs at different times throughout the day. We hope the client is as proud of the end result as we are.